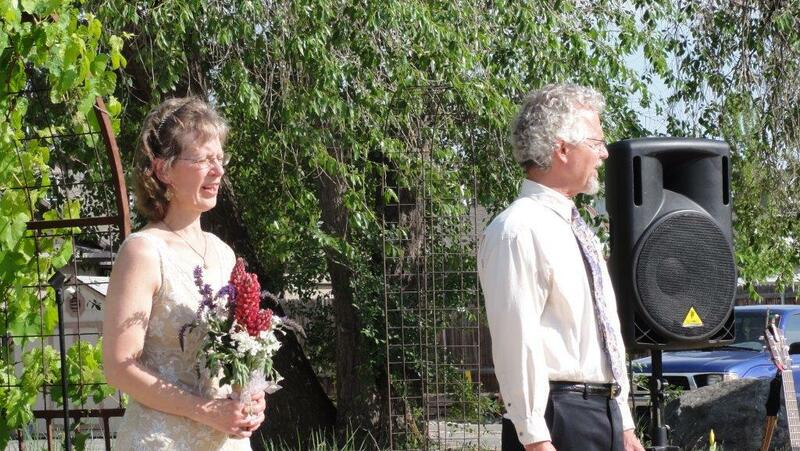 Marti Gudmundson married Nick Molenaar on May 18th of this year. Marti Gudmundson and Nick Molenaar tell their story of church camp and meeting again, so many years later. “Was your dad there?” asked Molenaar. 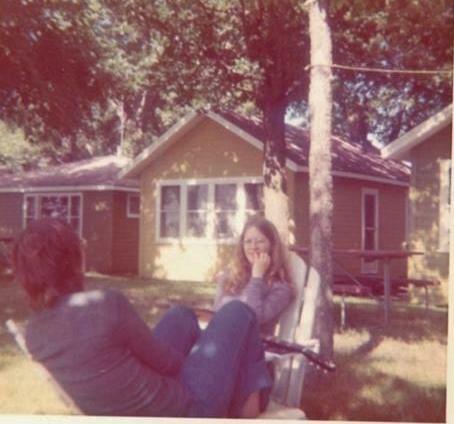 Marti Gudmundson at Lake Camp in 1970. She was 14. “So were we friends there?” asked Molenaar. “Because I’m five years younger than you. You and Peter were always the cute, older Molenaar boys. I was not about to subject myself to being embarrassed with unrequited love,” said Gudmundson. “How did we run into each other the second time?” asked Molenaar. 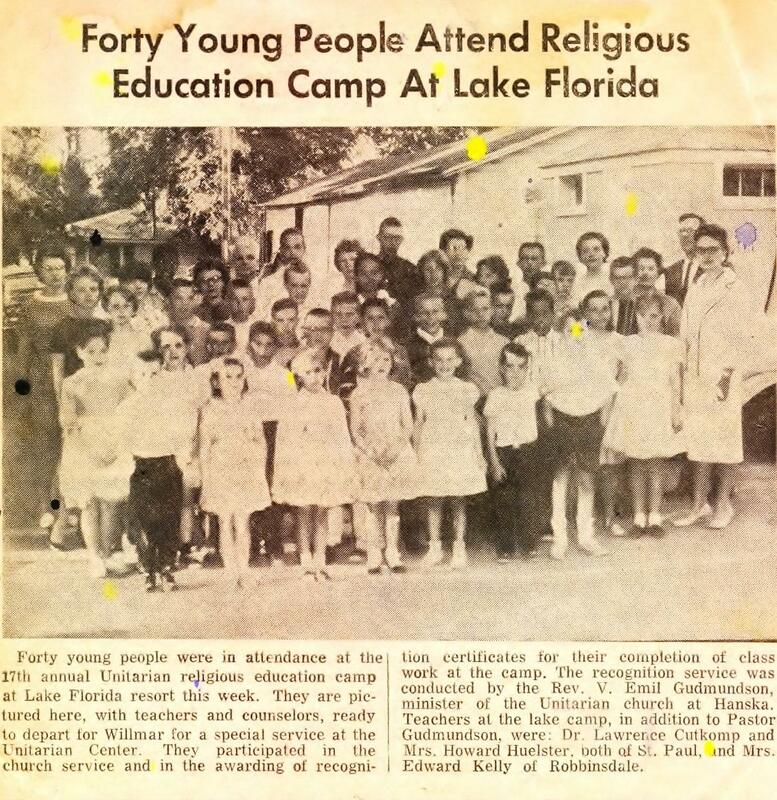 Both Marti Gudmundson and Nick Molenaar are in the picture from this article about church camp in their local paper in 1961. “I had posted some photos of Lake Camp days on Facebook two years ago in 2011. So you contacted me over Facebook and wrote me this big long personal message on Facebook. That was April 30. The next day I was going to be homeless, without a place to live, with my dog who was aging and you just stuck with me. “Well, that you were interested in me and that you remembered me," Gudmundson said. "I had seen you on Facebook and thought, 'Oh, he’ll never remember me. He was the cute Molenaar guy.' But you did remember me and you stuck with me. You were not placing judgment on me for not having a place to live, for not having direction, for being emotional, you were just there. “So here we are,” said Molenaar. “Here we are, married and all. I love you so much,” said Gudmundson. “I love you, too,” said Molenaar. Marti Gudmundson married Nick Molenaar in May. At the wedding they sang songs from church camp, like White Coral Bells, with their guests. Marti Gudmundson married Nick Molenaar on May 18 of this year. They sang some of the songs they remembered from summer camp at their wedding.